As a Music Educator Billy combines his passion for Music &amp; Singing with a strong knowledge of Vocal Technique to inspire growth and development in his students. Billy has a talent for tailoring learning models and pedagogy styles to the individual strengths and opportunities of the student. Billy’s excellent communication and interpersonal skills help foster open communication between parents, students and other members of Music Studio. As a Professional Singer Billy has experience performing in a variety of styles ranging from Jazz to Classical, from Pop to Rock, from Musical Theatre to R&amp;B. He is confident in his abilities to help you improve your Vocal Technique, Musicianship, and Confidence. Billy sings professionally and has experience performing in all styles from Pop to Rock, from Opera to Musical Theatre, from Jazz to R&B. Billy is Certified in Somatic Voicework-The LoVetri Method (Level 3, Shenandoah University); Billy holds a B.Mus in Vocal Performance (VCC), where he was the Valedictorian of his graduating class; in addition, Billy holds a BA & CLA (SFU). 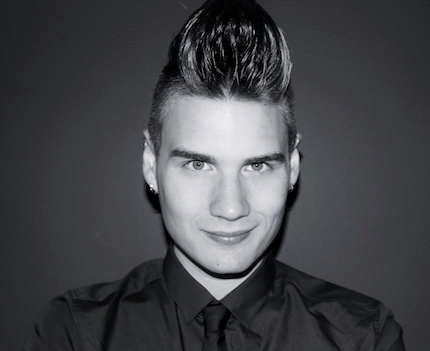 Billy also teaches Beginner to Intermediate Piano, Solfege, Music Theory and runs Musical Theatre Workshops. Billy’s original vocal style leaves audiences craving more. He is a serious and dynamic musician with the perfect balance of boldness and vulnerability. Somatic Voicework is one of the only methods that acknowledges the validity in forms of singing outside of the Classical Singing. Somatic Voicework is founded in the latest findings in Vocal Science, not in etherial touchy-feely methods that don't work for 99% of students. I am interested in teaching my students how the voice functions and helping them find and build their instrument.